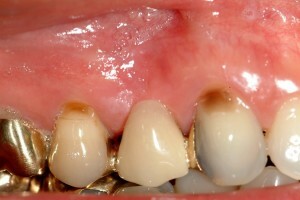 Pre-operative photo of a three unit fixed bridge. 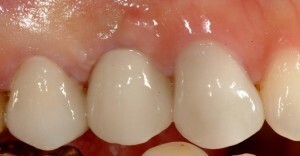 Post-operative photo of the three-unit bridge being replaced with two single crowns and one implant. 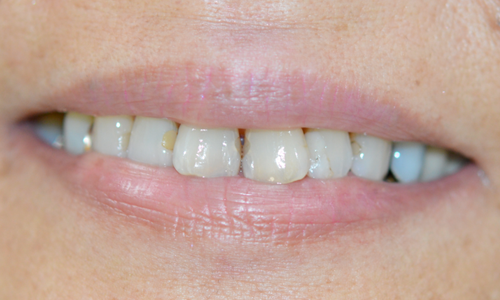 Pre-operative photo with multiple fillings, discoloration, and crowding of teeth. 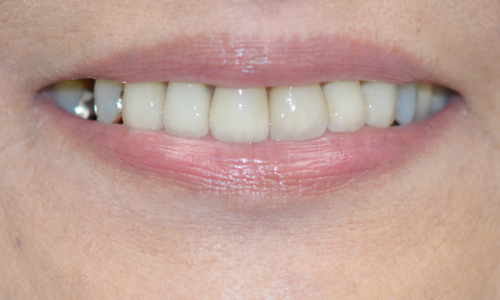 Post-operative photo correcting the front six teeth with crowns and veneers. 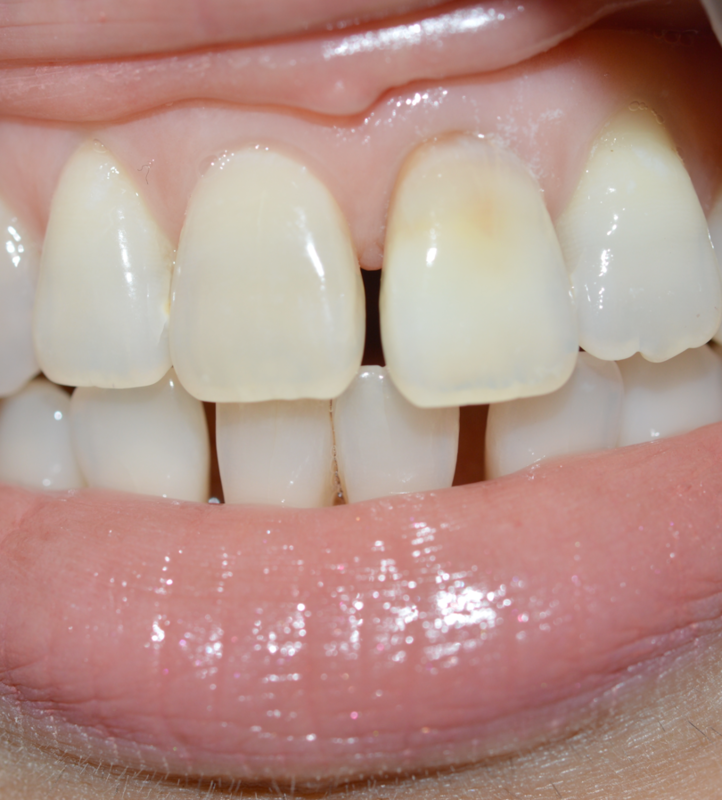 Pre-operative photo of a discolored and positioned root canal treated tooth. 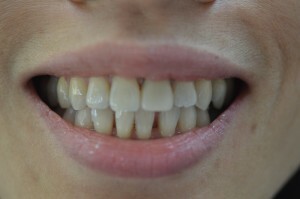 Post-operative photo showing the correction completed with one single crown. Error: Error validating access token: Session has expired on Saturday, 02-Mar-19 22:49:06 PST. 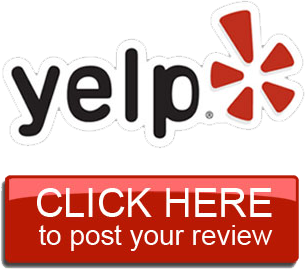 The current time is Tuesday, 23-Apr-19 13:03:28 PDT.